Enclosures, Huntersville, NC | G&S Contracting, Inc.
We will build you the enclosures you are looking for to enhance your property in Huntersville, NC. Enclosures in Huntersville – Pool and patio enclosures are a great way to maximize your enjoyment of your outdoor spaces. With an enclosure, you can enjoy your space into the evenings and throughout the year. At G&S Contracting, we are highly rated for customer satisfaction and will build you the enclosures you are looking for to enhance your property. Pool enclosures are a beautiful way to keep your pool area free from leaves and other debris, keeping pool maintenance to a minimum. An enclosure will also protect the pool from insects and inclement weather, so you can enjoy your pool year-round. An added bonus is the fact that pool enclosures provide a barrier that acts as a safety feature to keep children out of the pool area. Patio enclosures provide similar benefits, allowing you to relax on your patio regardless of the weather, free from pests and insects. Our team at G&S Contracting is available for all custom enclosure designs. We can design and tailor any project to your exact specifications and needs. 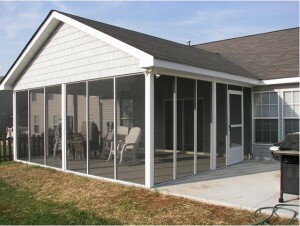 We can enhance your current porch or deck with screens to add a little extra protection or build an entire enclosure of glass and steel. These types of enclosures can be outfitted with insulation and even heating and cooling. These beautiful enclosures can become a statement and focal point on your property. In the construction business, experience counts, and we have 39 years of experience learning about our clients’ needs and how to serve you best. We know quality counts, and we aim to provide the people of Huntersville, NC with quality enclosures that will serve their purpose well and last for years to come. 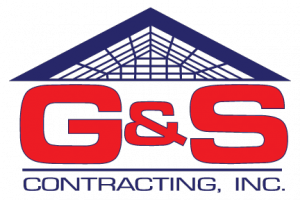 At G&S Contracting, Inc. we offer the highest quality Enclosures to our customers in North Carolina including: Mooresville, Cornelius, Davidson, Huntersville, Charlotte, and Lake Norman, North Carolina. For the best in windows, doors, siding, no-clog gutters, and enclosures, visit us at G&S Contracting, Inc. We are a 3-time national award winning company and would love to add you to our long list of satisfied customers in the Mooresville, NC area.